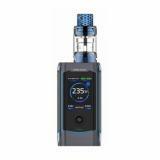 Innokin Proton Kit with Plex is powered by dual 18650 batteries to fire up tp 235W. The Push-to-refill Ples Tank has 2ml and 4ml capacity for selection. 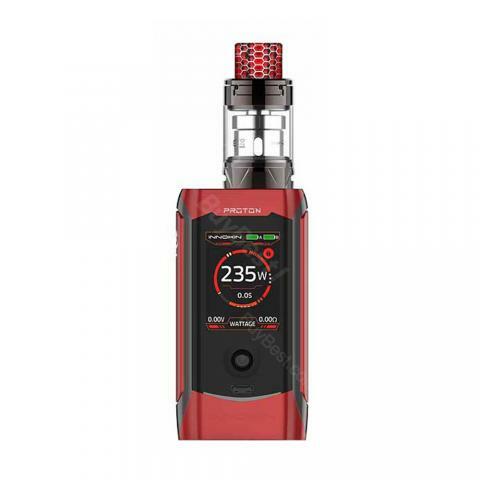 Innokin Proton Kit with Plex, which is powered by dual 18650 batteries to fire up to 235W to deliver denser cloud and pure flavor, comes with different output modes that include TC, TCR, Bypass, Curve modes and etc to give you special vaping experience. The 1.45-inch TFT screen will show vape status clearly and large side fire button ensures easy operation. As regards tank, it has 2ml and 4ml liquid capacity for choice. The push-to refill design brings convenient vaping. Just take it. • Three month warranty for Proton Mod and PLEX Tank. • Quick link: Diamond Subohm Tank. 235W Innokin Proton Kit with Plex presents a high-power set-up with an advanced 235W chipset catering to multitudes of power outputs and paired with the new PLEX Sub-Ohm Tank utilizing the new Plexus Coil. Bought this kit because I needed a new mod for my FreeMax Mesh Pro. After doing a lot of research and watching YouTube reviews on many mods, I cam to the conclusion to purchase the Innokin Proton. The fact that it also comes with the Plex tank makes it worth it. Very compact, build quality is on point, and the colors are dope.